When I work with clients I enjoy teaching them how to go deeper with their technique by focusing on tapping meridians for specific emotions held at each point. In basic Emo tional Freedom Techniques training this is not something that is taught, but in my main modality, NET/ Neuro Emotional Technique, we focus most of the attention on specifying exactly where in the body specific tapping meridian emotions are located, and what is the specific earliest time each emotion was experienced. You may see a quick review of the “90%” emotions by checking out my short video at: https://annemerkel.com/free-eft-stuff . 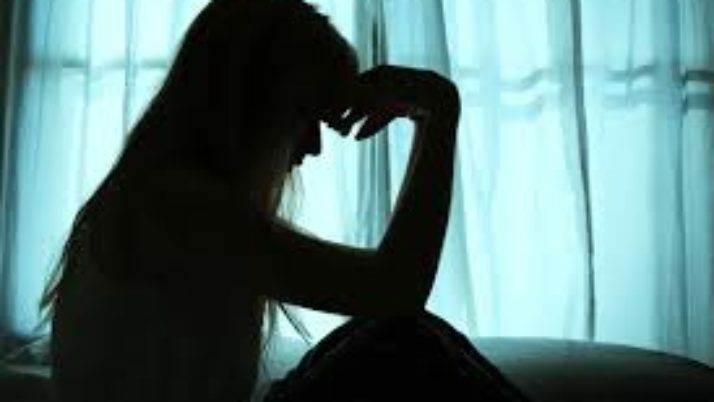 After you have viewed this, let’s go deeper into how to clear more aspects of an issue in one EFT sequence by better understanding the subtle emotions included in each meridian tapping point. 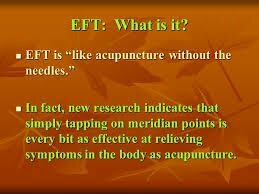 EFT was taken from TFT / Thought Field Therapy, which was indirectly taken from acupuncture meridian therapy… via several psychologists and chiropractors… starting back with George Goodheart, DC. As you probably already know, EFT/ Emotional Freedom Techniques is a fine tool that gets amazing results by simply tapping on a group of meridian points while focusing on the emotions of an issue or condition that one wishes to neutralize or clear. Gary Craig, the originator of EFT, chose well as he developed this shorter and easier protocol and shared it with the world. We are all grateful to him! So, in this short series of EFT Radio show recordings, I’d like to show you how potent each point in EFT actually is, and how to use and understand each one in order to get the most out of it! In the first show segment we go over why rubbing the “sore spots” is a good exercise and why it works to clear Psychological Reversal. Go to: http://www.eftradioonline.com/the-sore-spots/ for this first segment of EFT Specialization. So, in this short audio I’d like to continue to show you how potent this point, as well as others in the sequence are, and how to use and understand each one in order to get the most out of your tapping practice! In this segment we’ll also discuss the mindset, calling in the subconscious mind along with the logical mind, and why Gary Craig’s original Set-up statement is so potent. Tapping around the orbital socket of the eye at different points can be very potent, and this next show segment in our series tells you some of the details about how each of three main EFT tapping points differ. The Eye Brow / Bladder meridian point, End-of-Eye / Gall Bladder meridian point, and Under Eye / Stomach meridian point represent some potent emotions that can be held from early in life and triggered in the present, or they may relate to a current situation without any ties to the past. Learn more specifics about what you can clear by just tapping on these points while you FEEL the emotions generally related to each! I enjoy helping my clients get more about of their meridian-tapping practice, so with this information you can expect to feel the results. Tap along while I explain or simply jot down notes so you can use the information in a later EFT tapping session. Go to: http://www.eftradioonline.com/tapping-around-the-eyes/,… and, since you wouldn’t be reading this if you didn’t want to support your self-development, you might want to check out my book on Amazon: Conscious Development Guide for EFT Tapping Practitioners or my audio with e-guide series Clearing Blocks to Abundance which includes 26 hours of mp3 recordings and four e-guides to support your own personal workshop. Tapping above and below the mouth at the same time can be very potent, and knowing why will be a game-changer for your EFT tapping practice! Since the GV and CV meridians hold energies that are somewhat related, although seemingly opposite, it is very powerful when you tap the EFT points together. This segment goes into the details behind the Governing Vessel meridian which runs from above your upper lip, over your head and down to your tailbone, and the Conception Vessel / Central Meridian which runs up your front to the point below your lower lip. Both of these key meridians run through your main physical body energy vortices, the chakras, which are found along both the front and back lines of your body. I’ll explain more about these and how the meridians work with them as you tap on the points. Go to: http://www.eftradioonline.com/gv-and-cv-meridians/ to learn more about the power of tapping these meridian points at the same time. In the next EFT Radio segment I move on to the Collarbone and Underarm tapping points, describing how their energies can correlate and support each other in both good and bad ways. I also bring in some Energy Medicine techniques to share more about the potent Triple Warmer meridian and the role that that plays with the Kidney and Spleen meridians of these EFT tapping points. Learn from my many years of experience as an Energy Therapist about how you can support the balance of your meridians and gain wonderful body, mind, and spirit results! Over the years I have shared EFT with thousands of people world-wide, and I agree with many other practitioners about the power of tapping the neuro-vascular points on the scull… all in the region of the Crown Chakra. But, I do something a bit different with my clients, that makes a difference. Listen to this last segment to learn how to “put the icing on the cake” in your EFT tapping practice! Go to: http://www.eftradioonline.com/a-higher-vibration/ which also explains when it is a good time to tap in something positive. When I was a practitioner of NET / Neuro-Emotional Technique prior to “meeting” EFT / Emotional Freedom Techniques, I was happy to find a tool I could teach to my clients. I integrated NET and EFT to create N-hanced EFT in order to clear more aspects of an issue during one session. This is basically what I have shared with you in the audio EFT Radio show recordings shared in this blog post. This last segment consolidates the tools and techniques described and analyzed in the previous six segments to provide a tapping tool that you can use for anything that is holding you back in your life. Use this template to go deeper into your issue, trauma, physical illness, or whatever no longer feels “right” for you! Go to: http://www.eftradioonline.com/eft-specialization-g to pull it all together. If you like what you experience, you may enjoy a complimentary 30 minute consult with me, Dr. Anne Merkel, where you can discuss your needs and how I can help you! 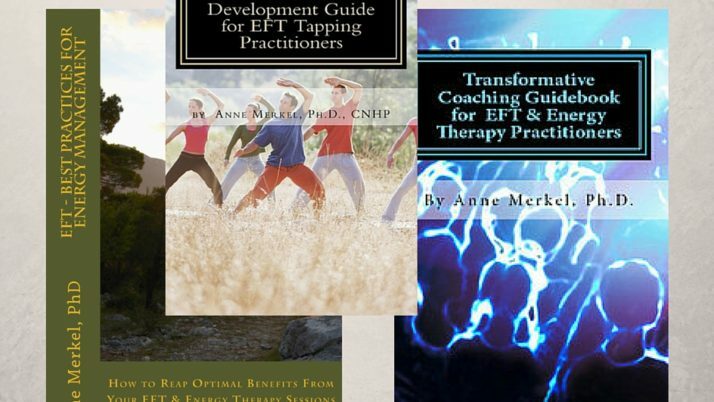 Go to: http://ArielaGroup.com , or if you are a Wellness or EFT Practitioner, go to: http://AnneMerkel.com . On each of these pages check out the other complimentary packages and options available to you!